After battling 40ft waves, storm force winds and North Atlantic icebergs Ocean Valour are multi world record holders. 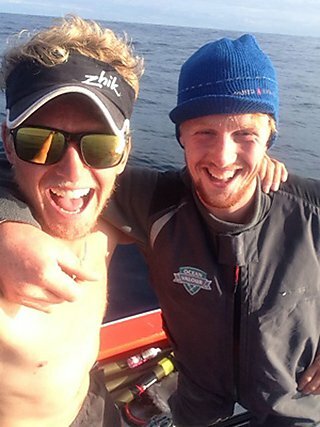 Plymouth University alumnus Tom Rainey and lifelong friend Lawrence Walters have taken on the treacherous North Atlantic Ocean which started in May 2015 as they rowed from New York (USA) to Salcombe (UK) with an aim to raise £250,000 for charities including the Brain Tumour Research Centre of Excellence. Tom and Lawrence have battled wind, waves and icebergs and have broken four Guinness World Records. 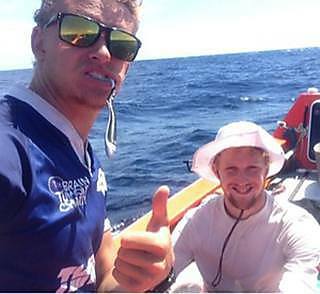 They travelled the greatest distance rowed in 24 hours by ocean row boat (112.5 nm) and have become the youngest crew ever to make the journey, plus Lawrence Walters is the youngest rower to row across the Atlantic. 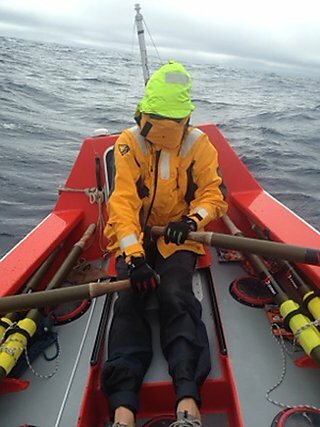 The row, which covered 3400 miles of ocean took the pair 93 days and was entirely unsupported. Before their Atlantic row we teamed up with the boys to offer a raft of support, from physiotherapy to publicity and essential RYA training with Plymouth Sailing School. 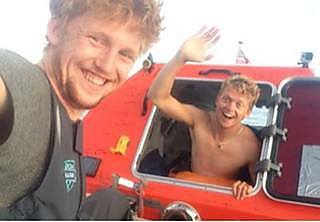 The duo arrived at around 4:30pm on the 4 August 2015, after 93 days and 20 minutes at sea. The pair rowed into Salcombe accompanied by nearly 200 boats, and were welcomed home by hundreds of air horns sounding, flags flying and family friends and supporters lining the quay side as they rowed into Salcombe. Read more about their arrival on the Ocean Valour website. They also managed to break four Guinness World Records, one being that they are the youngest in the world to row across the Atlantic from the US to UK. Watch the incredible homecoming video of University of Plymouth alumnus Tom Rainey and crew mate Lawrence Walters, created by our talented students at SU:TV. SU:TV had the chance to interview the duo moments after they first stepped on land for the first time in 93 days at Salcombe, UK. “Why Ocean Valour? It epitomises the team as two men showing true British bravery in the face of adversity. Facing ones demons, to better the lives of others.” Tom Rainey, BSc (Hons) Ocean Exploration graduate. 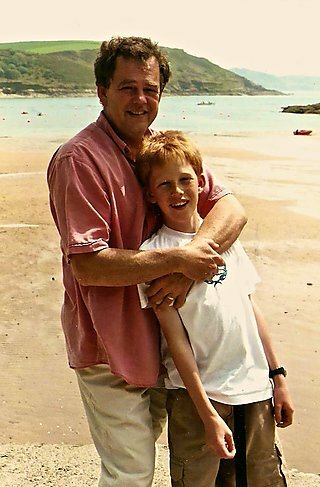 Tragically, Tom lost his father to a brain tumour. As a passionate sailor, Luke Rainey taught Tom a great deal about life, the ocean and to respect his environment. 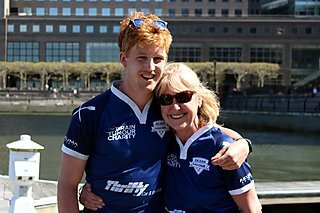 As well as raising money to put towards the research of the condition that his Dad suffered from, this trip is also in memory of Tom's biggest role model. Tom and Lawrence worked hard on an intense training regime that involved a lot of rowing both on machines on land, and in the boat at sea. "You make the most of every opportunity that pops its head up. Whether that be chin ups in the doorway every time you go through that door (door frame allowing), press ups every time you go to the toilet, squats in the evening, sitting yourself against a wall while doing emails after work!" 10 – 18 September 2014: Tom and Sam brush up on their navigation skills in Plymouth. To help prepare our two graduates to row into the unknown without seeing land for two months, we sponsored their navigation training at the Plymouth Sailing School. 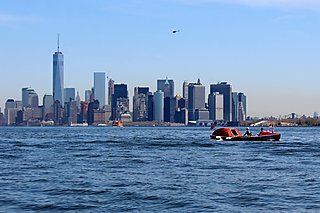 After months of gruelling training and with only 21 days left to go before their record attempt to become the fastest and youngest two man team to row 3,800 miles from New York to Salcombe, Sam Coombe was forced to withdraw. Lawrence Walters, a life-long friend of Tom with great knowledge of the ocean and experience in rowing Yves (the rowing boat Team Ocean Valour will row the North Atlantic in), has stepped in. Read more about the crew change on the Ocean Valour website. 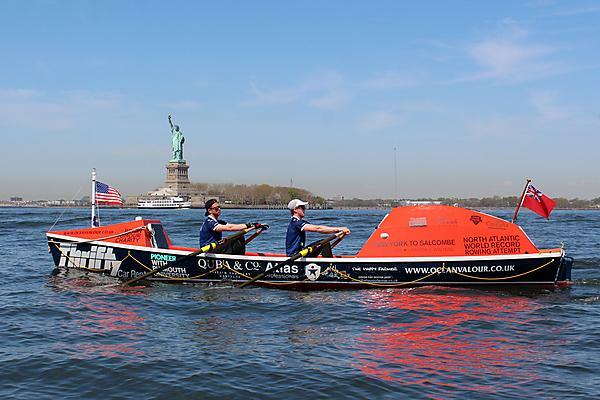 On 3 May 2015 at 10:33 ET / 15:33 BST Tom and Lawrence set off from North Cove Marina, Battery Park, Manhattan, New York. 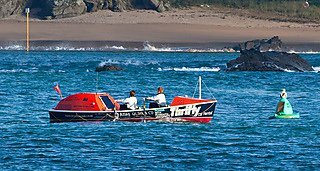 Within the first five hours the pair had rowed a total of nearly 18 nautical miles, getting a good start in fine conditions. 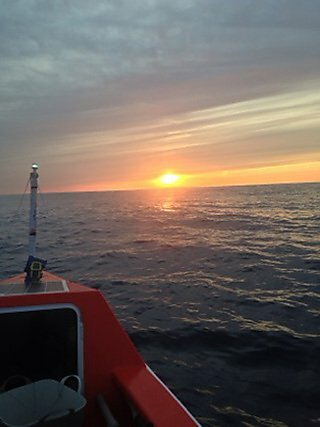 Their first night at sea was challenging, especially after nine hours rowing, but a full moon lit the horizon and the waves coming towards them making it slightly more manageable. 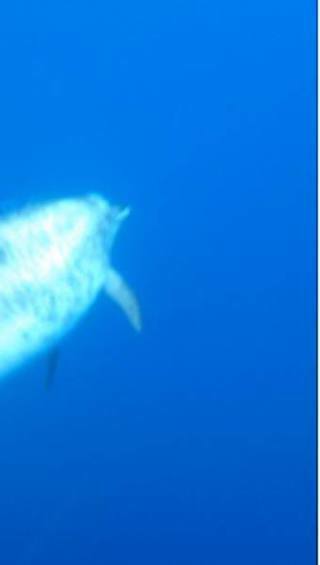 On the night of 10 May, Tom and Lawrence made it to the Gulf Stream - great news for the tiring crew. 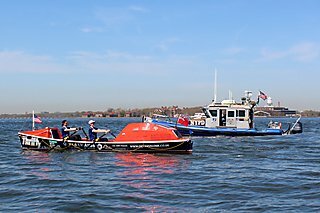 This date was even more significant as it was the birthday of Tom’s late father and the inspiration behind Tom’s desire to row the Atlantic. On 22 May, Yves made a transmission through the Emergency Position-Indicating Radio Beacon (EPIRB) routed to Falmouth Coastguard. (EPIRBs are a last resort safety system that is only be used in grave and imminent danger). However, the coastguard indicated that the EPIRB had only sent one ping and then stopped. Normally it would continue to transmit a signal for a minimum of 48 hours. After much discussion they made the decision to wait until their next scheduled call which was only a few minutes away. 15 minutes later Lawrence called in explaining that the large waves had caused Tom to accidentally kick the EPRIB off it’s mounting bracket as he was getting into the cabin. They had no idea that the EPIRB had transmitted and were both fine and excited about the prospect of progress that the more westerly wind was providing them with. Read more on the Ocean Valour website. The pair became close friends racing dinghies against each other across Europe and are ready for the challenge they are currently facing of weeks alone together in the middle of the North Atlantic. “We are good mates, soul mates, really, but we’re fully expecting it to get a bit lumpy!” laughs Lawrence. “We’ll probably want to chuck each other in the ocean at some point, but we’ll pull each other through. And we've got a cactus called Mr Planty who sits in the cabin, so we can always send the other one to see it - our version of sitting on the naughty step. People expect us to argue about what to put on the iPod, but I think there’ll be bigger fish to fry. Maybe things more like: ‘You’re not rowing fast enough!'" After ten days of rowing around in a giant circle three times, Tom and Lawrence have broken out of the circle of Gulf Stream current. 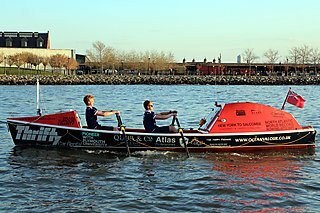 On 1 June they hear confirmation from the Ocean Rowing Society (who are the adjudicators for Guinness World Records in the sport) that Team Ocean Valour have set a new World Record for the greatest distance covered by ocean row boat in 24 hours. 112.52 nautical miles in 24 hours. Read more about the distance record on the Ocean Valour website. Tom describes the weather that these low pressures generate as “50kt squalls with horrible rain that felt like hailstones and gravel being thrown at you, and that lasted from midnight last night until about 10 o’clock this morning.” As a consequence everything on board is drenched and morale dips. The team are now only a few miles from their next way point which is a couple of hundred miles off the southern tip of the Grand Banks. Read more about the conditions. After battling harsh conditions the pair have been able to enjoy the sun shining down on them, allowing them to really dry out the cabin. 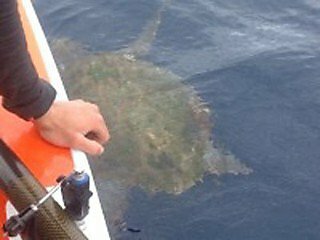 They've also recently had a swim, jumping in the sea to scrape barnacles that had become attached to the bottom of the boat. With a smooth bottom Yves should have less friction and so be quicker. Check out the gallery for photos! Read more about Ocean Valour’s journey so far. In the last 42 days Tom and Lawrence have covered an incredible 1823 nautical miles (nm). The team started out with 90 days of food rations so at the moment it looks like it is almost the perfect amount. Read more about the distances covered and still to come. Lots has happened over the past few days, and not to do with wind or rain! They went for a swim and saw a turtle. A tiny jellyfish stung Tom on his neck and his leg. Thankfully it wasn't a bad sting and the pain had subsided within an hour or so. The pair have now promised that they’re going to be much more cautious next time they’re thinking about jumping into the sea. Find out about ‘Superman’ and rationing.